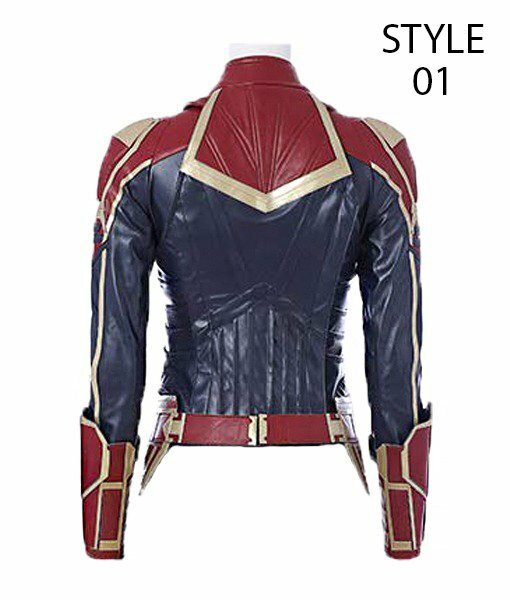 The Captain Marvel Jacket is high-quality PU/Real leather which makes it inexpensive. It features erect collar with front zip closure to elevate the jacket’s style. 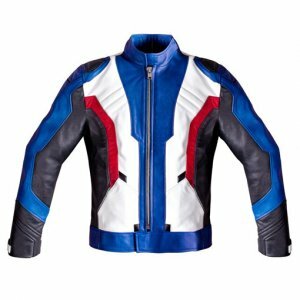 Buy Captain Marvel Leather Jacket now and avail free shipping. 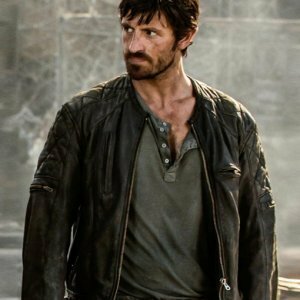 Captain Marvel Jacket is available in genuine leather or faux leather, including internal viscose lining and hemline on borders. I don’t often shop online but when I do I make sure that I do it from the trusted sites that are renowned ones. This time I took the risk on my friend’s advice and guess what she won the bet. 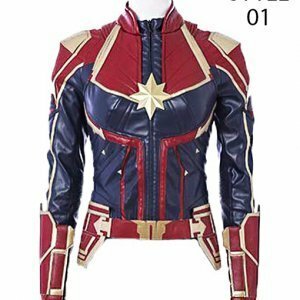 I ordered the Captain Marvel Jacket for my 15 years old daughter who admires superhero and just want to be like one of them. My young girl is energetic and quite popular amongst her friend’s group and as she says she need to look cool. 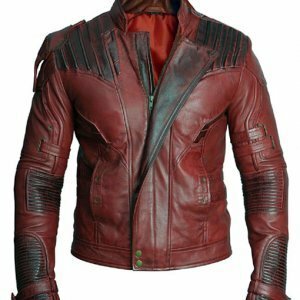 So I thought of ordering this superhero inspired jacket that I found at fairly low rates as compared to the other site I used to order from. The jacket was timely delivered on my address I did not know much about the character so waited for my girl to come back and see if this the right one or not. I remember when I handed it to Lisa she got a big and huge smile on her face and she hugged me saying you are the best mom one could wish for. Thanks team Hleather keep up the good work I highly recommend it to all the online buyers. Hey dude I bought a jacket from your site when I was surfing late night. I had nothing to do so I thought of trying something new. 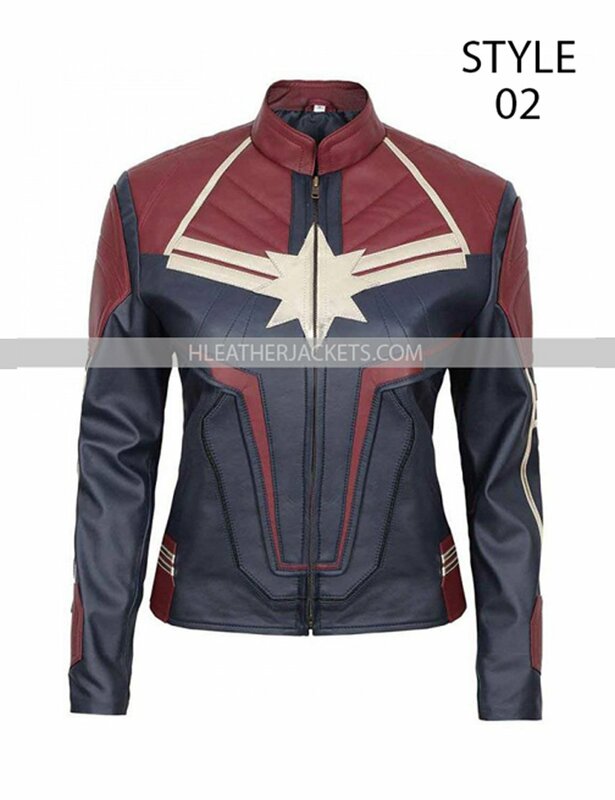 Though I am not a fan of superhero but I do watch these fictional movies; what actually made me place the order for this Carol Danvers Jacket is the color that is shown in the image here these primary colors just triggered something in me and I just felt like buying this beautiful jacket. After a day I got the parcel here I must say here that I was quiet impressed by the packing of the apparel and so I opened it very carefully making sure that I don’t tear any of the wrapping. The jacket took me by surprise because it was just as same as it was shown in the image needless to say that you impressed me greatly; firstly because of the timely delivery, secondly by the wrapping and thirdly by the jacket. The colors were exactly the same as seen in the movie and the design was also the same. The stitching is so fine and above all the wearable is really a comfortable one. Hello, being a satisfied customer I thought that it is my responsibility to state my comment here. 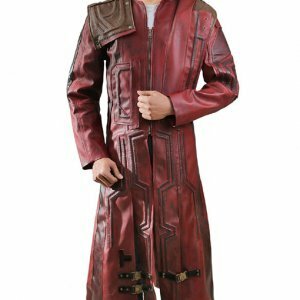 So I recently placed an order on your website for this Captain Marvel Jacket. 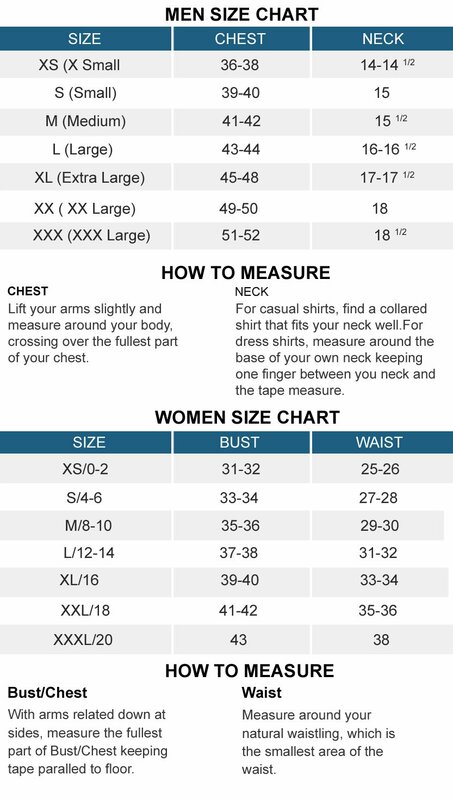 I mostly buy clothes that make me look smart because I am chubby honestly, I was afraid a little to buy it or not because I loved the color and design that was shown in the image but was not sure if that would make me look fat. 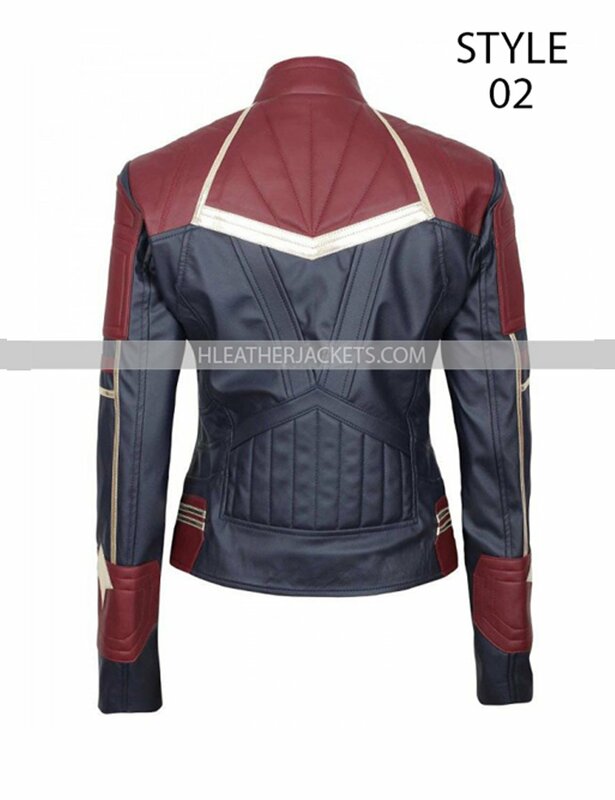 Well, taking the name of Jesus I ordered Carol Danvers Jacket I got the delivery the very next day and for me that was an impressive point the jacket was nicely packet and after opening I was greatly satisfied because it was exactly the same as shown in the picture. I wore it the other day to the party at my friend’s place and honestly I felt so comfortable all the time the length of the jacket is very ideal and I looked very smart wearing it. The sleeves and the collar perfectly set and everyone liked my appearance in the Captain Marvel Carol Danvers jacket. The jacket is true beauty I think it’s a must buy for all the fans. Oh my Gosh!!! these were the words that came outta my mouth the moment I got this jacket in my hand. I cannot tell you how good this jacket is to have in my closet. 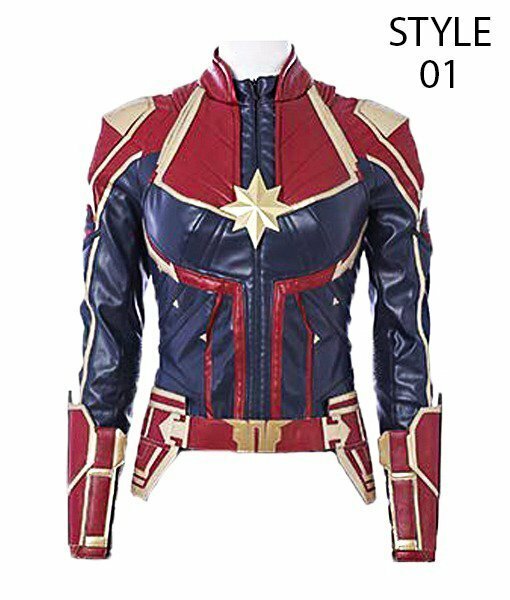 I loved the way it is deigned just as similar to the real Captain Marvel jacket that I have seen in the movie. The color combination is so ideal and the star logo on it is too good. I cannot thank you enough for such a beautiful creation. Cheers!! I just loved the gold color lining of this jacket. 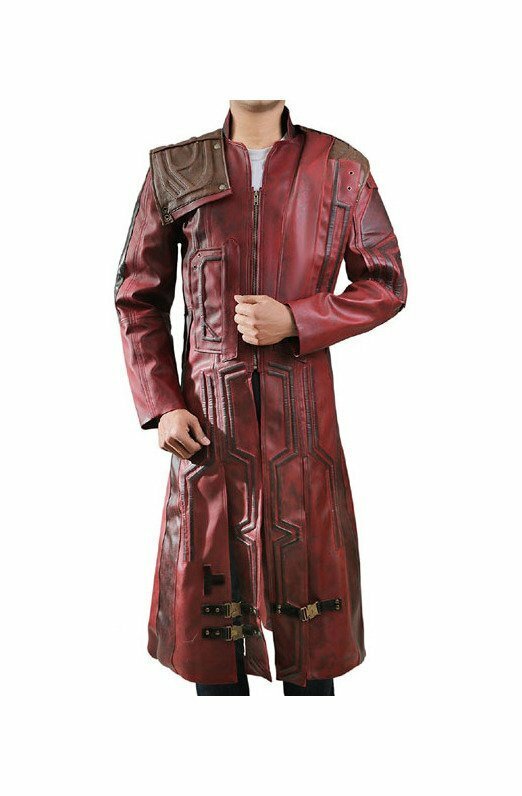 I like this movie and more that that I like the jacket I ordered it is medium size and it was just fine. I loved the colors because they are close to the real one and it is such a comfortable wear that I can wear ti=his jacket whole day without and uneasy feeling. I’m looking to get some few more things that I can wear for my office work. Thumbs up!!! Recommended for sure. Lately, my friend and I was talking about something retro superhero look and here it is, I found a perfect thing that I was looking for. 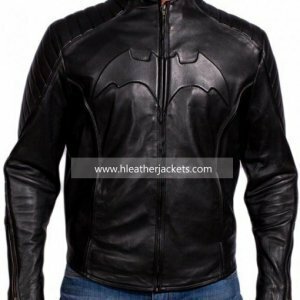 Leather design makes it super comfortable and the vibrancy of the jacket looks so trendy and attractive. The leather isn’t shedding off and the material goes with everything you wear. 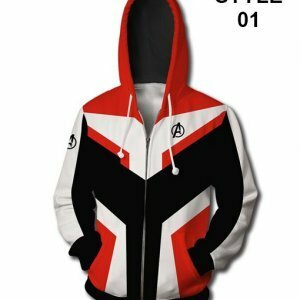 Marvel merchandise is always appealing and this one is so great. Wonderful product. Thanks!! A friend of mine is so into the superheroes and especially when she got to know that captain Marvel features a superwoman, she got even more excited. So I gifted her this vest. The quality of this super-heroic vest is awesome. The color is perfect to wear casually. Best part? The rates are pretty cool here and it payed off wonderfully as my friend loved this vest and was so grateful. Much appreciated!